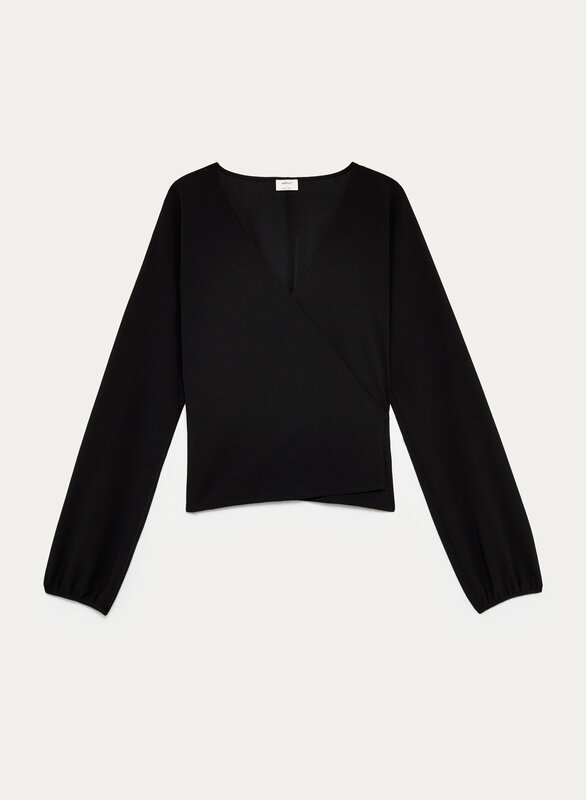 This blouse is made with a smooth crepe fabric that hangs beautifully. 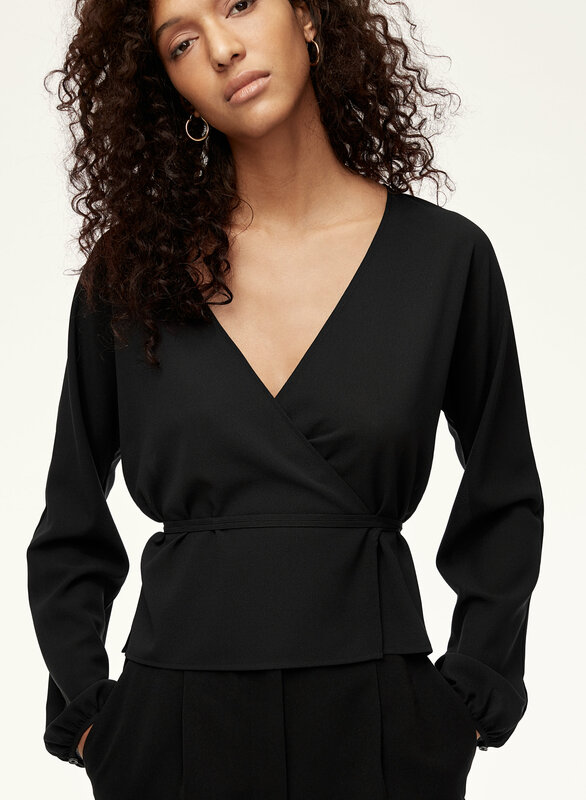 The wrap silhouette and adjustable tie at the waist make for a flattering fit. The blouse fits way too big, usually I’m a small but the blouse is pretty shapeless, but I guess with the tie it’s not bad. I got the lilac colour and found it washed me out a bit too much. Great top, but I truly hate the sleeves. I unfortunately will never wear this top for this reason. Great material, and great fit though. If you like the bell sleeve look, this would be a good pick for you. 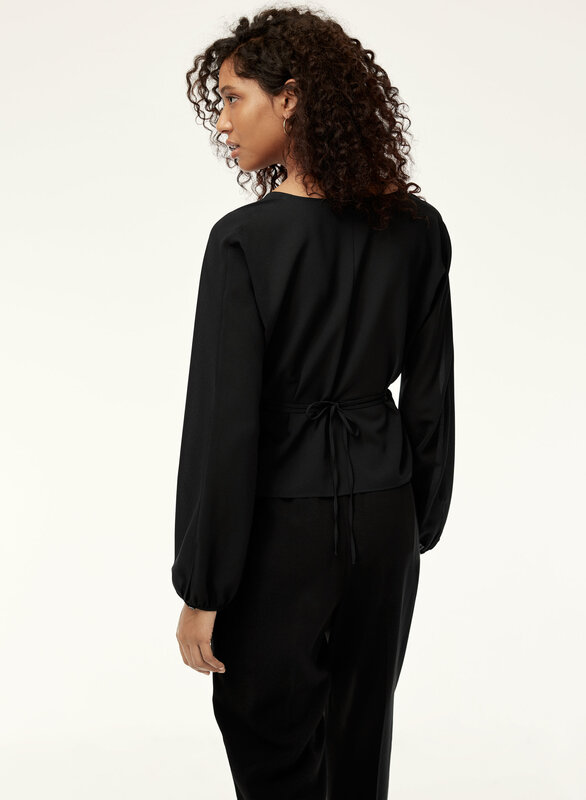 Bought this on the Black Friday sale - thought it would be a great work blouse. It's a little bit more cropped than it seems in the pictures - and weird fitting. The cuffs are disproportionally tiny considering how the rest of the blouse fits. I got white, which is COMPLETELY see-through. Had to wear a bodysuit underneath to make it marginally appropriate. Not great, not terrible. It fits like it's meant to be on a very petite person with no torso. Pretty blouse. Sleeves very long, needed to get tailored. Super easy to wear and care for. Can be dressed up or down!